The bubble washer washes greens by loosening dirt and bugs, mixing them thoroughly, and cools the crop, all without bruising or tearing! 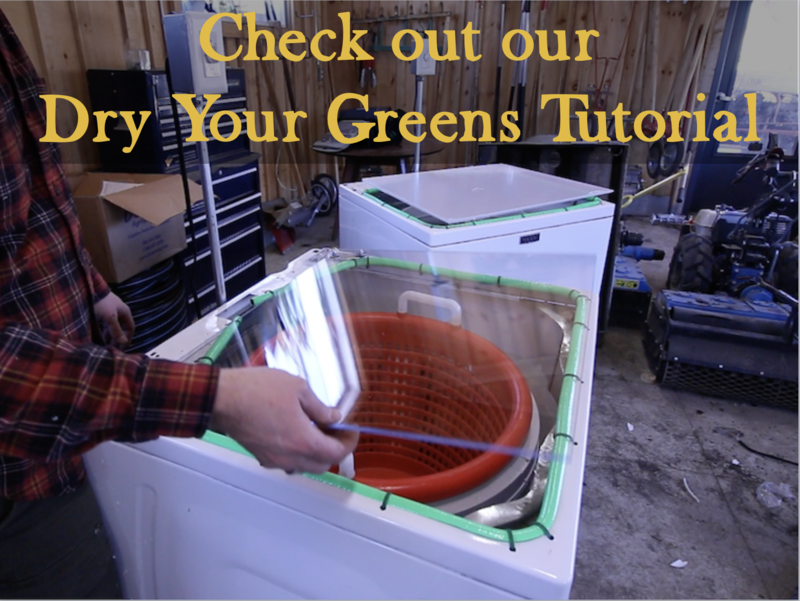 Our online tutorial teaches you the quickest way to size, build and use a bubble washer to wash your crops. We help you get the most out of your limited time and produce a premium product with less effort at a fraction of the industry cost. Our course is instantly available and contains everything you need to build a bubbler quick and easy. Most people can build it in an hour or less! We walk you through every step of the way. Start saving time and money with cleaner (and happier) veggies! The first time we drained the bubbler after using it there was 2-3 times more dirt in the bottom- I was shocked… think of all the dirt that my customers were eating!!! I now have a cleaner, better quality product that will last longer and sell for more. As always, our tutorial comes with a ironclad, 30 day money back guarantee. If for any reason you are not happy with the course- just let us know, and we’ll refund your money immediately. We feel so strongly that it can help increase your production and produce a better product that if you build it and it doesn’t, we’ll refund the money! only $47 for lifetime access! Now that you’ve washed your greens you need to dry them….